The daily rate for BWI Marshall Airport's new Fly Away valet parking service is $30, but it comes with some notable perks. 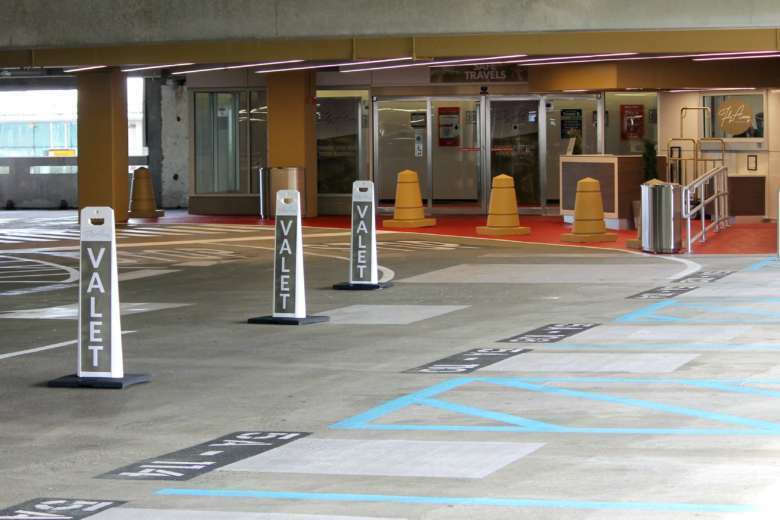 WASHINGTON — BWI Marshall Airport calls its brand-new valet parking the “easy come, easy go” option for travelers, and the service is now operational at the airport’s hourly garage. The new Fly Away valet service is on fifth level of the hourly garage, which is connected directly to the airport terminal. The daily rate for the Fly Away valet parking service is $30. But through the end of the month, an online coupon can cut that to $22 a day — the same rate for regular hourly garage parking. That is more than what most travelers will be willing to pay, considering that the daily parking garage is $12 per day and that long-term parking in lots A and B is $8 a day. But the valet service does come with some additional perks. In addition to parking your car and retrieving it when you return, Fly Away valet includes help with luggage from a uniformed valet attendant, as well as free bottled water, coffee, a newspaper, interior vacuum service and windshield cleaning. The valet vehicles are also parked under cover in the hourly garage. For arriving passengers, clear signs direct valet customers to level 5 of the hourly garage, BWI Marshall officials said. The valet service currently has 155 spaces, and it has room to expand if needed.